JazzWrap | A Jazz Music Blog: Charles Mingus: Enigma. Genius. Prophet. You could describe him as an enigma. A genius. A prophet. No matter how you describe him, Charles Mingus has left a large shadow over jazz during his time and since his passing 30 years ago. This week I wanted to discuss the some my favorite works by the great Charles Mingus. Charles Mingus was not only a magnificent bass player but an incredible forward thinking composer. Many talk of what Goodman, Ellington, Gillespie and Basie have done as composers but not enough has been said about Mingus. 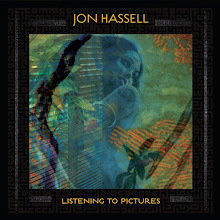 Some may find it still hard to dive into his music because there is so much of it. 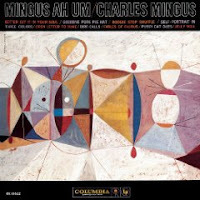 I suggest Mingus Ah Um (Columbia Records) which is still widely available and celebrated its 50 anniversary this past May, as the best place to start. If you don't own this recording you should; it truly highlights the genius of Mingus as bass player and phenomenal composer. This was a very large ensemble that originally gathered for a loose jam session that instead turned into a well-structured jazz session on the level of a classical performance. If you would like to learn more about Mingus, I would highly recommend you take the time to read Beneath The Underdog. Beneath The Underdog is the autobiography of Charles Mingus and is a great page-turner. It will take you inside the crazy messed up mind that is Mingus. This is not just about the music. It is about his life. You will quickly learn how childhood shaped his attitude and how it affected many of his relationships (personally and professionally) and how it was brought out in his compositions. Beneath The Underdog is a great collection of experiences written in every direction. It's not the typical autobiography but it does flow as if you were sitting in the room with him (and he wasn't looking at you while he was telling the story and cooking breakfast). Enjoy. Below is a video of one of the most famous tracks from Mingus Ah Um "Goodbye Pork Pie Hat" from 1975.